Have you been to Elkmont? 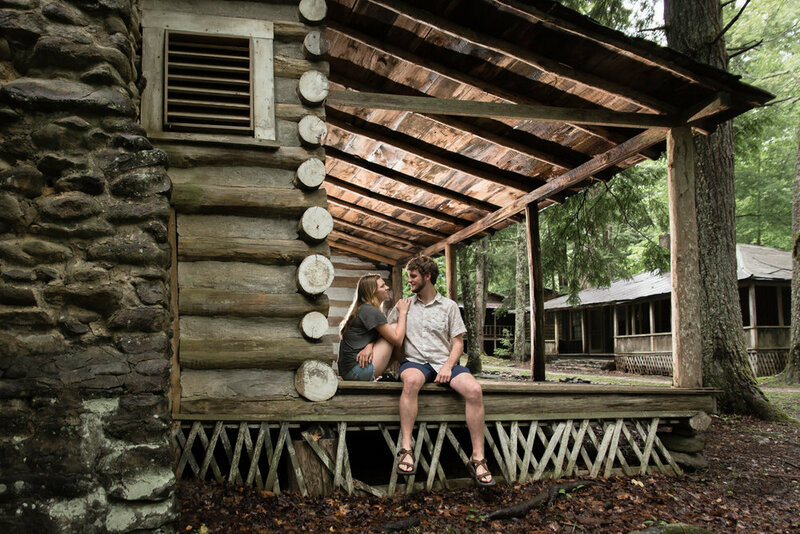 AT one time, Elkmont was a summer getaway for the affluent of Knoxville, where they could stay in their summer cabins among the pines. Many of those cabins are long gone but some have been restored or are in the process of being restored. A sense of urbex - urban exploration of abandoned buildings - is felt with every photo shoot there. It lends a cool sort of "Southern Gothic" feel. And it offers shelter from the rain, at least to anyone inside a cabin or on one of the porches. 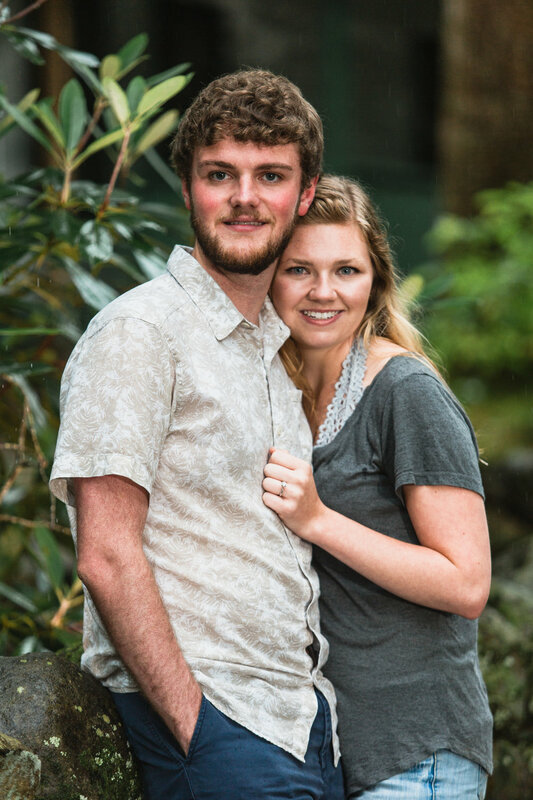 So when Olivia and Daniel contacted me to plan an engagement session, their love of the outdoors and a forecast threatening rain brought us to Elkmont. At one point, Olivia asked me if I minded getting wet. Here is how I see it: I use professional cameras (Canon 5D Mark III) that are used by photojournalists in the field, so I expect them to take some beating and still function, at least. If it is a downpour or the real scare for a photographer standing next to a metal light stand - that would be lightning - then no, sorry, I won't risk my equipment. As for me getting wet? Meh - who cares? I don't care so long as we're having a good time and making great images. And this was a perfect location for Olivia and Daniel. This was a cool, kicking, laid back couple who share a deep love of outdoor living. Absolutely charming and easy going - it might have been raining but their disposition made the day brighter! No, it wasn't night time. I just wanted it to look that way. If you're looking for an affordable place to be married, check out Elkmont. It features two popular venues for weddings in the Smokies, the Appalachian Clubhouse and Spence Cabin.